That’s right my friends, Superfood Jam. I cannot go into a grocery store and buy an item without examining every part of the nutrition label and ingredient list. It is mind boggling to see the amount of pure CRAP that food manufacturers are putting in our foods these days. It can be in anything from nut butters to bread to almond milk – ANYTHING! Jam/jelly is a huge culprit of many unnecessary ingredients and added sugars. I refuse to buy something if I cannot pronounce it and I certainly am not buying extra sugar filled foods (hello, my chocolate, desserts and wine cover that). And this is where I struggle. Peanut butter and jelly. The classic, go-to, delicious, comforting, secretly healthy sandwich that I will eat until I am a Senior Citizen living in an old-age home. I love everything about it. The texture of peanut butter and jelly combined, the sweet and salty taste and the way the bread absorbs a little bit of both in each bite (yes I am that descriptive about my PB&J). My endless love for making PB&J has led me to make my own jam. I’ve been making this for a few years now. Before I thought it was “in” to make foodie foods and post about it. It’s a staple and a go-to recipe that’s easy, affordable and a crowd pleaser. 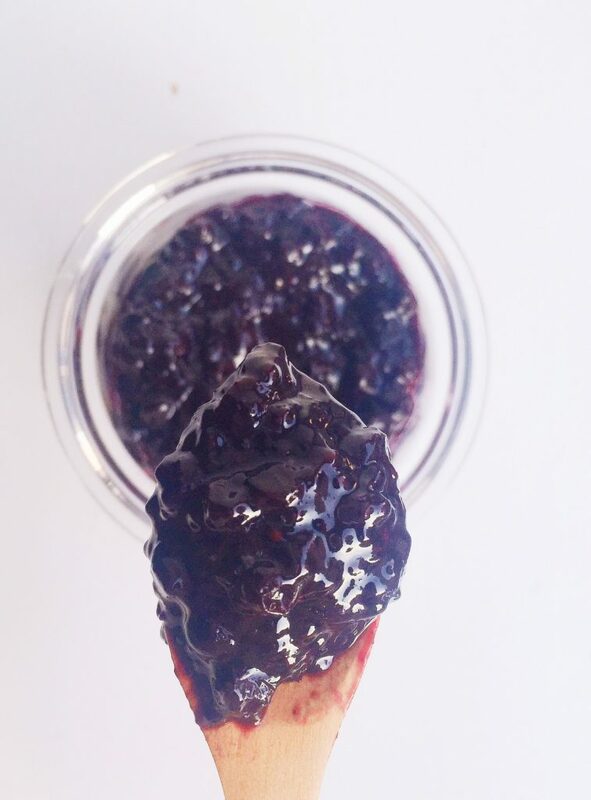 I personally love blueberry jam over strawberry or grape. Extra antioxidants, a subtle tart-y yet sweet taste. Which is why I made my Superfood Jam. 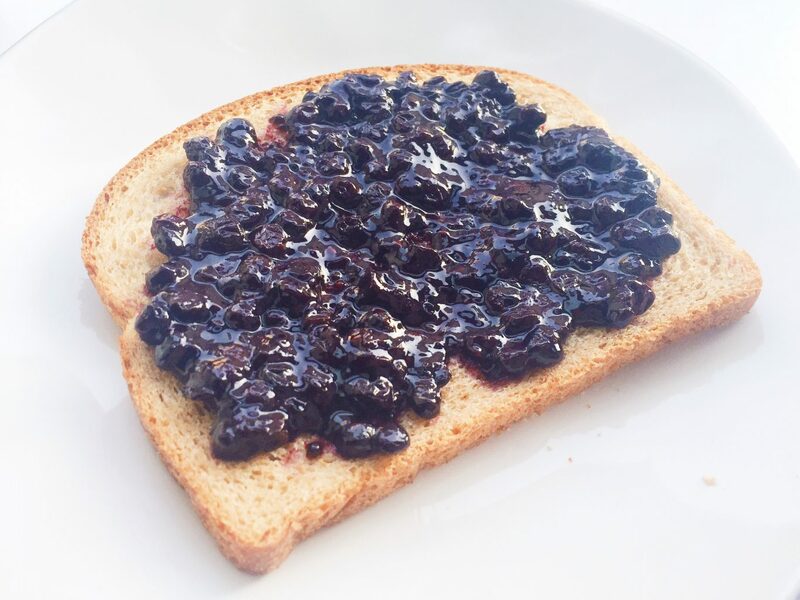 Combine the blueberries and raw honey in a medium-sized non-stick pot. Bring to a low boil and stir. Once it’s boiling, reduce heat to medium and let it simmer for 5-7 minutes. You can mash the blueberries with your spoon so it’s a little chunky still. Add your chia seeds to the pot and and consistently stir for 15-20 minutes. Your jam should start to thicken and you must stir consistently to avoid it from sticking to the pot. Once it’s thick to your liking, remove from heat and store in an air tight container in the fridge. It typically lasts for 7-10 days. You can use it in sandwiches, yogurt, oatmeal, on top of cookies, anything! I love this with raspberries!! It tastes so yummy and fresh!